Glacier Pacific, LLC is owned and operated by Dean and Tina Mellema out of Sumas, WA. We started the company in 2014 as a side business in solar energy systems after Dean developed a passion and interest in installing solar on our farm to save money by investing wisely in things that make sense. Dean submerged himself into becoming educated on all things solar and shortly after that purchased a solar energy system for our farm and installed it himself. In June of 2017 we added the refrigeration side to our business and became fully self employed. Dean has over 27 years of experience in the commercial refrigeration industry. Dean was raised on a dairy farm in Sumas so he has a special place in his heart for all things agricultural and helping that industry to survive. Our goal is to always be honest, do excellent work the first time, have fair prices, listen & communicate well with the customer, educate & inform the customer and to have a quick response time. We want to have long term relationships with our customers and for them to feel like our extended family. We don't just sell you a piece of equipment, we look at each job individually and design/build around your budget and energy conservation needs. We stand behind our work 100%. We service Whatcom and Skagit counties. 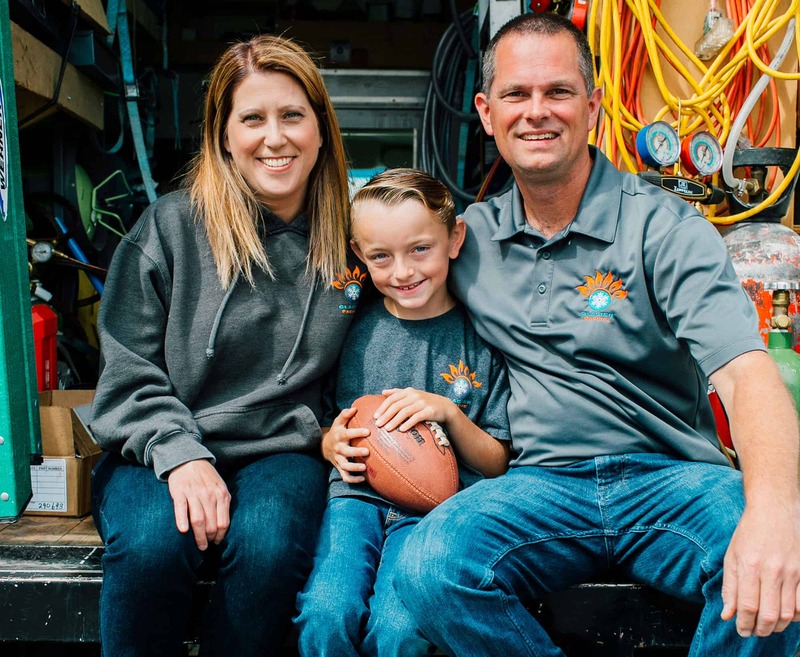 Our mission statement here at Glacier Pacific is to provide honesty and integrity in every job we perform with a high level of experience to solve your refrigeration and solar needs. We want everyone to feel respected and appreciated in the job we do and it is our pleasure & honor to give back to the community as often as possible. Customer satisfaction is our number one goal, from concept to completion on refrigeration and solar projects.